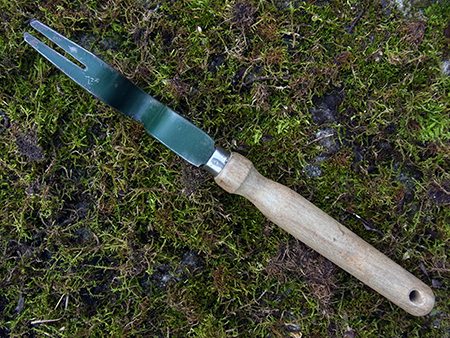 Vintage English 2 prong weeder. Green paint and beech handle with hanging hole. 14 inches (26cms).